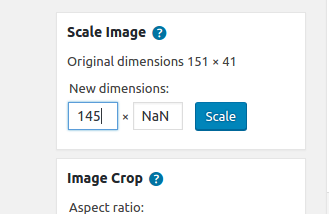 I'm trying to resize images to smaller sizes using wordpress admin. But I have trouble doing it. I have selected an image and opened it for editing. Original dimensions of my image is 255 × 300. Whatever number I enter to the first input field in new dimensions section another input field shows NaN (not a number). What is happening? I have noticed a weird behavior in in this case. When I refresh the current edit page the problem is gone. 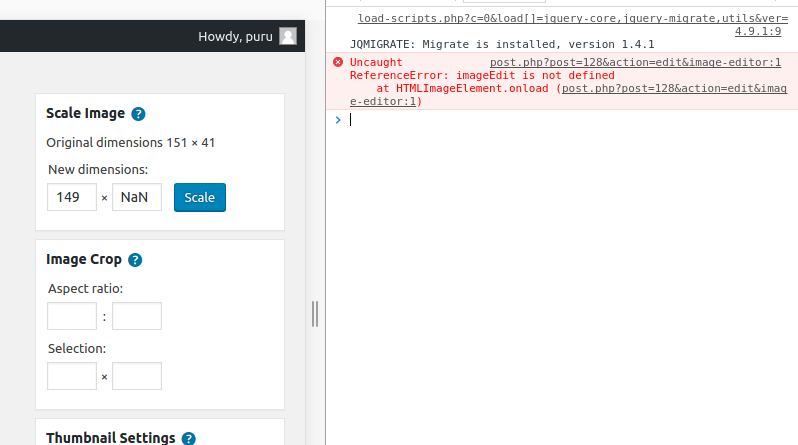 It is bug in wordpress? Please make sure that wp is up to date. In some cases it might be a caching issue, so try clearing your cache (or just test in a different browser). Not the answer you're looking for? Browse other questions tagged images media image-size image-resize media-settings or ask your own question. Image resize depending on orientation?